Software company with 8,000 customers in 80 countries needed their sales process integrated between their Dynamics CRM On-Premise and QuickBooks Desktop. As popular as QuickBooks is among CPAs and book-keepers and as widely used as it is among small/mid-sized businesses, the QuickBooks Desktop edition, originally developed in the 90’s poses challenges when it comes to data integration. (The more recent QuickBooks Online edition, however, not so much.) The company CFO contacted IQubz, Scribe Elite Partner and Dynamics CRM Certified Partner, to build a QuickBooks Desktop integration with Dynamics CRM to have their CRM and Accounting systems seamlessly synchronized. 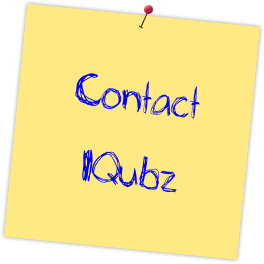 The solution, developed by IQubz on Scribe Online integration platform, integrates customers, products, prices, sales orders and sales receitps across Dynamics CRM On-Premise and QuickBooks Desktop. Customer contact information and sales order details entered in Dynamics CRM are synchronized with QuickBooks in near real-time. This QuickBooks Desktop and Dynamics CRM On-Premise integration is fully automated taking full advantage of multi-threaded processing, fault-tolerant architecture and built-in adapters of the Scribe Online data integration platform.